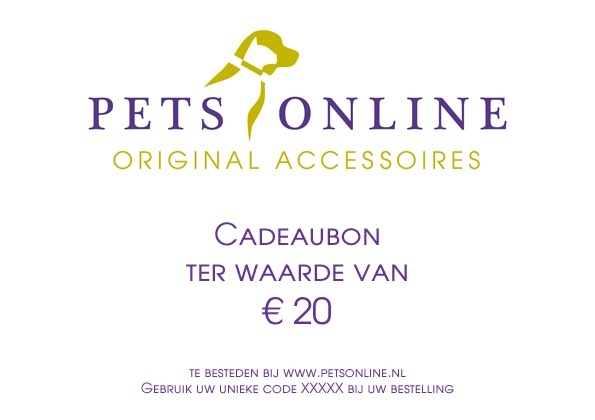 This € 20 gift voucher can be used on the complete product range of Petsonline. A nice gift to give and to receive: a gift voucher from Petsonline. This voucher can be used on the entire range in the store. You can give the voucher itself but Petsonline will gladly send it for you in a festive package!